Update February 25: The Nokia 9 PureView was announced at Mobile World Congress! Read all of the official specs and details at our full rundown of Nokia's latest flagship. It wouldn't be an exaggeration to say the Nokia 9 PureView is the flagship device most Nokia fans have been waiting for. The unannounced smartphone has been rumored since 2017, with many hoping it would have already released. But now, we finally know the device is on HMD's roadmap for this year. HMD wants this series of phones to be the best offering in their lineup — this is why the rumored phone from 2017 wasn't released under the "9" branding. According to NokiaPowerUser, the Nokia 9 rumored for 2017 ended up being released as the Nokia 8 Sirocco, which was announced during Mobile World Congress 2018. But the "true" flagship Nokia is finally shaping up, and according to the latest rumors, it will launch as the Nokia 9 PureView in early 2019. Based on early rumors, the Nokia 9 PureView will be the flagship phone we always wanted, but with some setbacks. It will have a large battery, 5.99" display, run Android 9.0 Pie out the box, and be part of the Android One program for two years of software updates and three years of security patches. The highlight of the show is the five rear cameras, which take photos simultaneously, allowing it to capture ten times more light than a normal smartphone camera sensor. However, it's reportedly using the Snapdragon 845, which will make it a bit of a hard sell in 2019 with the Snapdragon 855 due out before the Nokia 9 PureView. The Nokia 9 Pureview will be rocking a 5.99 inch HDR10 PureDisplay. While rumors indicate the size may be smaller, a leaked video by MySmartPrice verifies the 5.99-inch display. The video also confirms it will use PureDisplay technology, Nokia's branding for displays they've enhanced for HDR playback. On the Nokia 7.1, this included the ability to covert SDR content to HDR, but we don't know if this feature will come with the Nokia 9 PureView. WinFuture is reporting that LG Display is supplying the OLED panel for the Nokia 9. Therefore, the upcoming flagship will use a POLED panel, the controversial display found in the LG V30 and Pixel 2 XL. Based on the LG V40 ThinQ, the second generation of POLED is much improved and isn't plagued with the same problems of last year's screen. The Nokia 9 PureView will be the first major phone to have five cameras in the rear. According to NokiaPowerUser, HMD may be leveraging Light's technology to take advantage of so many lenses. Claims made in a leaked promotional video are eerily similar to Light's claims for their products, including 10x more light than a traditional smartphone sensor. If this turns out to be true, HMD will use the multiple lenses to simultaneously capture an image using different focal lengths. These images will then be fused together and reduced down to a lower resolution image. 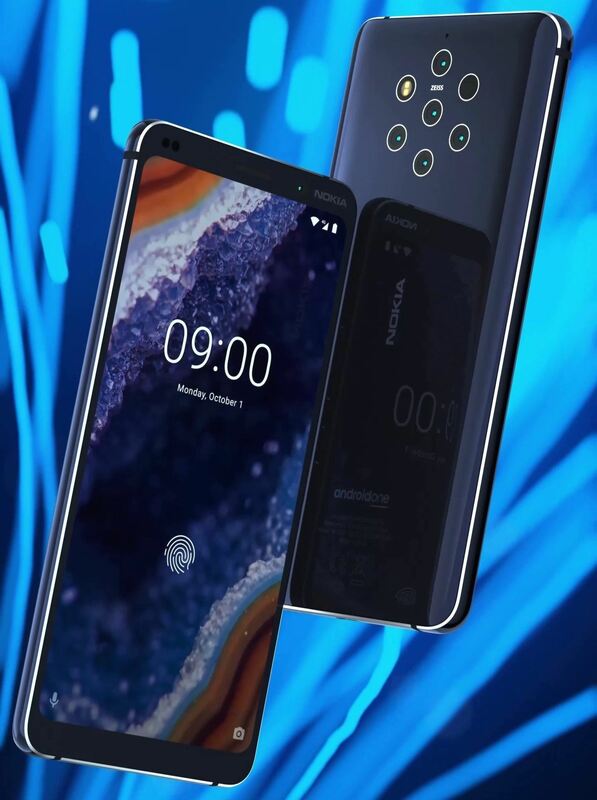 The Nokia 9 PureView will also sport dual front-facing cameras, bringing the total to seven cameras. Not much is known about the front-facing camera besides the lens count at the time of this writing. The biggest "letdown" of the Nokia 9 PureView is the use of a 2018 processor. Despite coming out in 2019, it will use the Qualcomm Snapdragon 845, the SoC of choice for all the flagship phones in 2018. 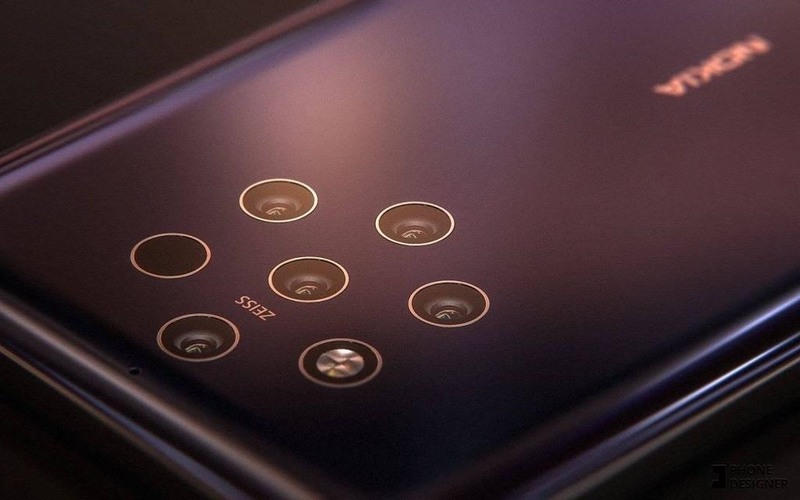 Rumors indicate the manufacturing process of the five cameras is what caused the delay, but just like the Nokia 8 Sirrocco in 2018, the usage of an old processor will hurt sales. Especially with the performance and power efficiency of the Qualcomm Snapdragon 855, it'll be hard to purchase a phone you'll know is already outdated. The Nokia 9 Pureview will have very solid 6 GB of RAM. It will also come in at least two variants, one with 64 GB of storage, and one with 128 GB. In addition to utilizing the notch to reduce the overall size of the device, Nokia will also include an in-display fingerprint scanner to keep the bezels small while retaining the fingerprint scanner in the front. Based on the rumored release date, this may be the second US phone with the technology after the OnePlus 6T. The Nokia 9 PureView will be running the latest version of Android available, Android 9.0 Pie. In addition, it will also be part of the Android One program. As a requirement for inclusion in the program, the Nokia 9 will get three years of security patches and at least two major software updates including Android Q and Android R. Software updates are handled by Google, which usually leads to Android One devices receiving them much faster than other phones. It also means it will be running stock Android without a skin, similar to the Pixel lineup. We currently don't know anything about the audio quality of the Nokia 9 PureView. So far, the images leaked don't confirm or deny the inclusion of a headphone jack or stereo speakers. We will update this section as soon as we learn more. Rumors have it that the Nokia 9 PureView will have a 4,150 mAh battery. Not only will it have the largest battery offered by a Nokia device, but one of the largest in the Android community. Combine that with stock Android and 5.99" display, and the Nokia 9 PureView should have almost two-day battery life. Based on the images we've seen, we can determine the back is glass. We are not sure if a metal is being used for the frame and if any other material is being used. The Nokia 9 is supposed to be priced similarly to the Samsung Galaxy S9+, which currently retails for $840 unlocked in the United States. If it retails at this price, it would place the price tag around the Pixel 3 XL's, a phone it competes with well. A recent APK teardown of ARCore by AndroidPolice found that support was coming for a number of Android devices in the upcoming months, one of which was the Nokia 9. 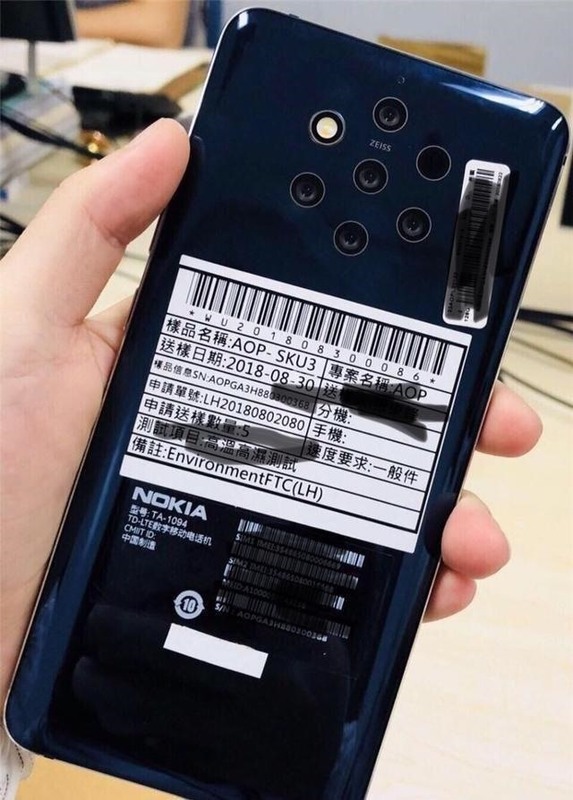 There was the Nokia 7.1 Plus and another with the codename CTL_sprout (a potential gaming phone by Nokia). Based on the other phones on the list, this update is coming for phones which are already available or should be coming soon, which gives us a good idea of when to expect the Nokia 9. On September 17, 2018, Twitter account @nokiamobileru posted a multiple-tweet message about how Nokia's Chief Product Officer, Juho Sarvikas, wanted to postpone the Nokia 9 PureView until 2019 out of fear that the device wasn't ready. Since we're already in 2019, this has proved to be a credible source. 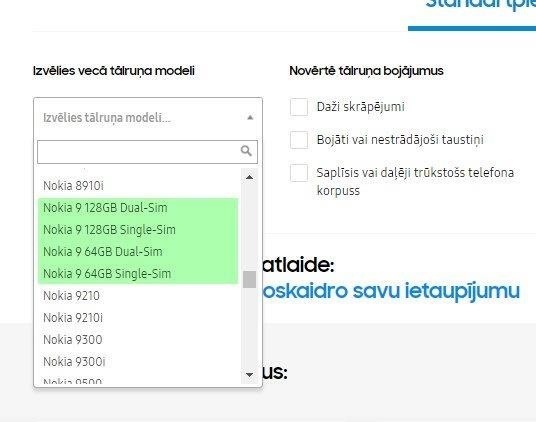 According to Nokia Anew, the phone will be announced in January 2019. While there is no precise launch date, speculation is that it will be announced the last week in January.